The Campfire Can you risk your canopy? Ok so I admit it – I’ve never been the tray-back type of guy. Its not about the practicality obviously, because you can’t beat a tray-back for space and flexibility in setup – but every car guy has that little bit of bias towards form in the never ending battle of form-over-function. Particularly in recent years where utility vehicle designers have started to use more than just the set squares in their geometry sets, it seems disrespectful to their grand design to append the flow after the cab and throw on a box of sorts. But then I’ve always been a wagon guy so I probably don’t get it anyway right? Anyway – part of my day job is to have a look at some of the more heavily modified vehicles that come across our desks. Chopped 200’s, Mogs, OKA’s, Megatourers and everything in between. One thing I have been amazed at is just how much one can spend on canopy setup. It’s no surprise that dual cab utilities are the fasted growing vehicular segments, occupying the top sales lists for some time to date. Utilising the cargo space of these increasingly popular contraptions can often be the most important part of the build for many owners. You may be a plumber and need to find a way to logically store and sort out your work vehicle, or be setting up your touring vehicle. Regardless, there can be in excess of 20k just in the purchase of a tray/canopy combo that bolts to your chassis rails! Even if you were challenged like I, a basic fibreglass canopy on top of the factory ute tub can cost between 3-5k. What ensues is a liberal smattering of electronics, storage systems, gas appliances for heating, water storage solutions,ovens and kitchen setups for cooking and maybe even a pop top or rooftop tent on top to round out the hermit crab shell now hanging off the back of the Rang-lux. Don’t mistake this for a slide-on camper… no no no, this is a bolt on canopy! 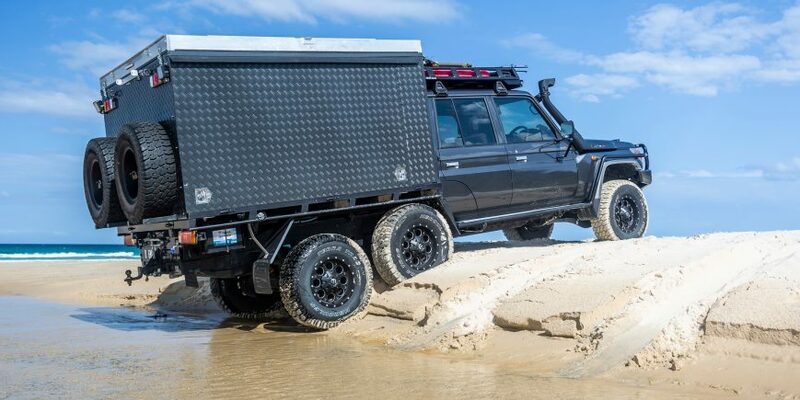 It may have facilities to be removed with a jacking system in case you want to leave it at home – but for all intents it’s on the vehicle in the garage at home, at the shopping centre, at the campsite and while rolling down the freeway at 110. So my question is – whether you’ve invested 5k, or 20k – is that investment covered? Do you think about the value of your canopy build (I know, I don’t think about what I’ve spent on cars either)? But seriously, If someone were to get into it and pinch your fridge, inverter, camp chairs and Travel Buddy oven would your current policy cover you? If it got stolen and you never saw it again – or if you were unlucky enough to roll it down an embankment deeming it a total loss; would your current sum insured payout allow you to rebuild the entire setup? If it doesn’t then you really need to consider your cover – yes, it may cost you a few hundred more, but would you rather be up for a few hundred or 20k+? Don’t know about you, but personally, if I were to suffer a loss that large I couldn’t recover from it anytime soon – could you? Remember, if the sum insured on your paperwork isn’t enough for you to rebuild your rig, you’re underinsured. 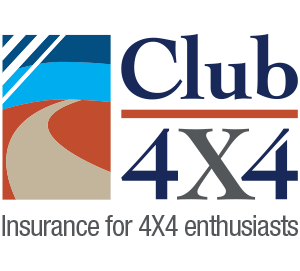 The good news is, you don’t have to be – give us a call on 1800 CLUB 4X4; 8-7 Monday to Friday and 9 through midday weekends to discover the Club 4X4 difference. True, but I think of insurance on a ‘like for like’ basis. Our vehicle is now 5 years old so I insure on that basis, and for sure the payout won’t cover what it cost me to set-up 5 years ago – but to insure old for new would become prohibitive. when they are filled with tools fridges batteries etc and then they put on a boat on top and a outboard motor in the back. On top of that they tow a large caravan. A quality aluminium canopy bolted straight onto the chassis rails will weigh less than a tub with a typical plastic canopy fited, so that allows approx. 950 kg payload, at least including humans on board. Yep one has to watch the weight, however 700KG’s of gear is a lot, and then a GVM upgrade of 300 KG’s is likely to be available for those that want to spend another $4,500.00 at least. A very good reason to have a 6×6 or lazy extra axle to safely carry that weight. I hazard a guess there are many tourers which tour very much overweight.